Photo of public amputation carried out in 2013 when Iran unveiled new finger-amputation machine, ahead of announcement of increasingly severe punishment of thieves. Iran’s General Prosecutor expressed regret that a number of “divine punishments” are set aside to save Iran from being condemned by international bodies. “One of the mistakes that we make is that we are afraid of human rights (propaganda) and that they say that you treat thieves violently,” he added in a meeting with police commanders on Wednesday, January 16. Montazeri has also admitted that under backbreaking economic pressures, many faithful and God-fearing poverty-stricken people might also be forced to commit theft. According to the Attorney General, thieving had increased in Iran compared to last year. “According to the statistics of the judiciary and the police, unfortunately, robbery is second in terms of crimes in the society,” Montazeri said adding that theft accounted for up to 28 percent of all crimes in Iran. The Islamic Revolution Guards Corps’ General (IRGC) and deputy commander of the Law Enforcement Force of the Islamic Republic, Ayoub Soleimani, said on Wednesday that there are nearly 200,000 professional thieves and burglars across Iran responsible for 60%-65% of thefts. Based on the Prosecutor-General’s latest comments, if hudud is implemented, the hands of a significant number of these “officially recognized” thieves should be amputated. Regardless of international criticism, the Islamic Republic has never been shy to implement hudud in public. The last reported hand amputation in Iran was carried out on January 18, 2018. The victim was a 34-year-old man identified by his first name as Ali. The hand amputation was carried out with a guillotine as is customary in Iran. The man was sentenced to hand amputation for stealing livestock and other valuables from several villages in the northeastern province of Khorasan Razavi. Amnesty International called the hand amputation a “shocking act of cruelty” in a statement. While the amputation sparked domestic and international outrage, the head of the Justice Department in Razavi Khorassan Province said some judges believed that the thief should have been executed. 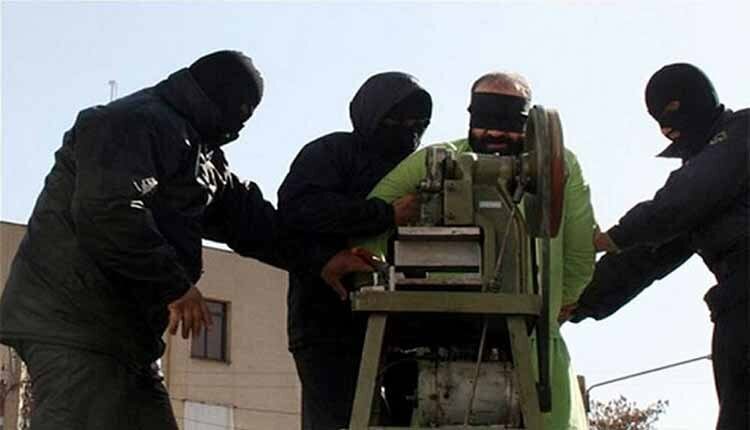 Back in 2013, Iran unveiled a finger-amputating machine that was used in its strict punishment of thieves. Photographs published that time by the state-run media showed a blindfolded man having his fingers severed by a crude amputation device. In the four images, two masked men dressed entirely in black hold the man’s hand in a vice while another turns a wheel that operates a rotary saw style blade. Immediately after the public amputation, the local public prosecutor announced punishment of thieves is to become increasingly severe.